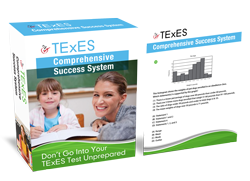 What do you look for in a good TExES practice test? Sure, you know the basics of what to look for. You know that TExES Special Education EC-12 (161) practice questions should replicate the real test as much as possible. You understand that the more information that's stuffed in the answer key explanations the more effective a TExES practice test study guide is. And you definitely agree that ideal example exam or sample questions shouldn't be riddled with grammatical errors, spelling mistakes and other major test preparation taboos! If your TExES Special Education practice test meets this expectation then well done: You’ll have a much better chance of getting a passing score on your TExES test date. You’ll at least have the basic standards covered which will make a big difference in your exam score. But don't sit back and relax just yet. In fact, if you want to take your test preparation to the next level, you'll need to expect more from your review materials. Don't try to guess ahead of time – I guarantee that this little twist will change the way you think about how your test preparation should function! These test practice strategies are engineered specifically for the Special Education EC-12. However, thousands have utilized this advice to pass the TExES Science 7-12, ESL, PPR, Mathematics 7-12, Social Studies 7-12 and other exams. A potential Texas teacher cracks open the first page of his TExES Special Education EC-12 practice book. He takes a look at the first question. After he finishes, he promptly walks over to his medicine cabinet, grabs a couple of aspirin and gulps it down – because he's got a major headache. …They wind up feeling more befuddled and confused than ever before. Let's face it: good test practice should help you to demystify the exam, not add to your confusion and exam nerves. So with that in mind, I'm going to give you a head start. I’m going to demystify some of the most confusing test question language you'll encounter! When a TExES Special Education practice question asks you about metacognition, don't throw up your hands and give up. Instead, the makers of the test want to know if you understand how mental processes work, both with individual students and within the classroom. “Meta” is just a fancy term that means “beyond, above the self.” So metacognition means being self-aware about thinking. Sheltered instruction may seem like it means to teach in a shelter, but not to worry; the actual definition is quite simple. Sheltered instruction means to help students with limited English to learn the language while learning classroom content at the same time. It's important to know about guided versus independent reading, so get your fill of this test tip. Guided reading means that the teacher provides supplemental TExES practice tests that will help students to comprehend the reading, while independent reading means that the student seeks out this material on their own.